Dreamz wedding planner plans your marriage ceremony with a great wedding destination wedding in Agra India and Abroad with complete destination wedding services. One of the hardest parts of the destination wedding is that where to have it and how we can manage it, it does not only depend on your mood but also the travel, time and budget required to pull it off. We coordinate your ceremony in an outstanding and incomparable way with our proficient team. We arrange destination weddings in India Goa, Jaipur, Udaipur, Jodhpur, Agra, Andaman & Nicobar and out of India places like Phuket, Bali, Singapore, Maldives, South Africa, Shrew Lanka, Pattaya, Dubai, and Seychelles. 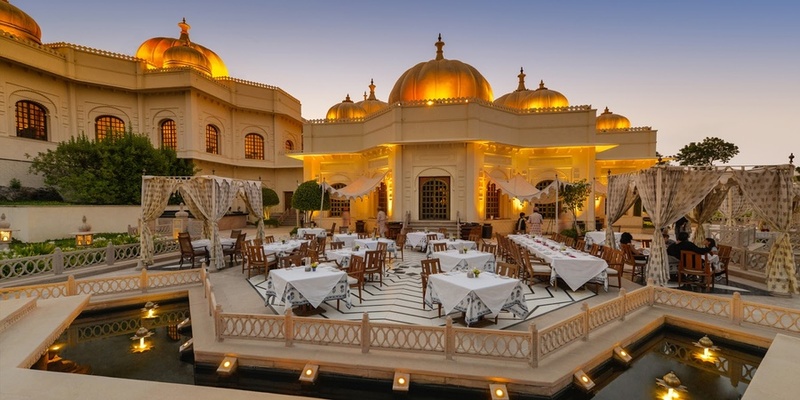 Thankfully, India is a blend of some exotic and beautiful locations that can embellish the most special occasion of a person’s life with charm and an incredible magnificence. Perhaps that’s why ‘Destination Wedding in India’ have become so frequent and sought-after. So, whether you love the beach or the palaces, the mountains or the forts, India has all of it to make your marriage ceremony an unforgettable event. Below is a list of ten wonderful sites for a Destination Wedding in India. agra is one of the most popular tourist destinations around the world, famous for one of the seven wonders Taj Mahal, an architectural monument built by Mughal emperor Shah Jahan in the memory of his beloved wife Noor Jahan. Taj Mahal is an enduring monument and a symbol of their pure love. Agra is also one of the fantastic offbeat wedding destinations. “Love at first sight is easy to understand it and to fall in love, again and again, to host a remarkable wedding, choose wisely your wedding venue to host the celebrations, ask for the rates, check prices and availability properly and do suggest with your expert wedding planner. Dreamz wedding planner always guides you through every single step to arrange a fabulous wedding. For more décor ideas and budget ideas for a wedding do read Best Wedding Venues in Agra.